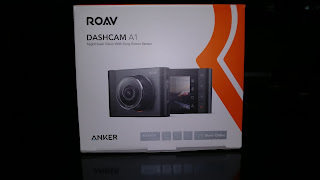 What I ended up with is the Anker Roav Dashcam A1, made by popular Amazon electronics vendor, Anker. If you've never heard of Anker, here's a brief summary: if you've ever bought a USB wall or car charger, a backup battery, ear buds, or any sort of cellphone accessory on Amazon, there's a very high probability it was made by Anker. 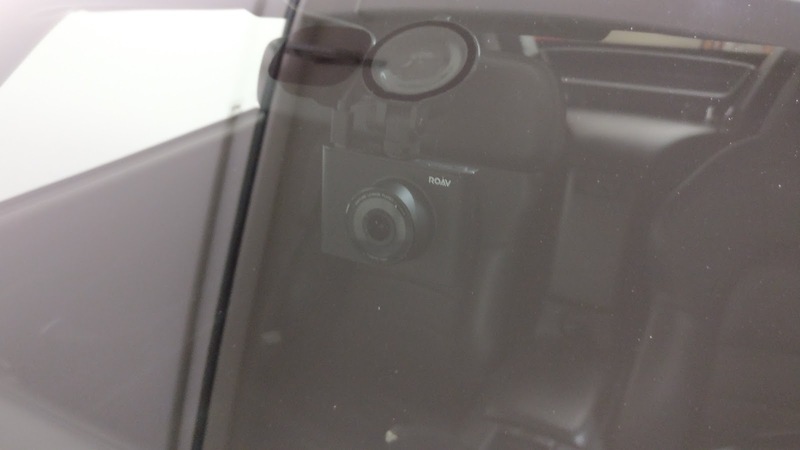 But back to the Dashcam A1. I chose this particular model, not just because it was on sale, but because it looked slim enough to sit behind my rear view mirror, but still allow me access to it if I needed it. Thankfully I was right, and the camera sits neatly behind the mirror. The included cable was long enough for me to route it through the trim and all the way back to the only available outlet under the glove box. 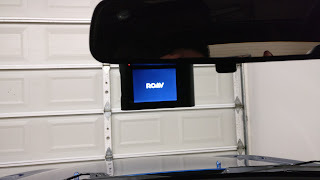 One thing that bothers me greatly about the Dashcam A1 is the parking collision function. The camera has a gravity sensor that detects movement even when your car is off, which turns the camera on and begins recording. 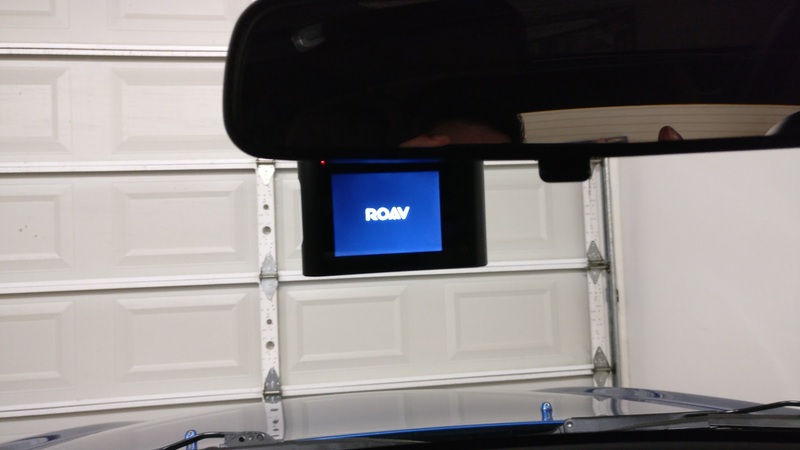 This function is primarily used for the parking lot, where an errant bump from a careless motorist hitting your car, or dinging your car with their door will cause the camera to turn itself on and begin recording. The sensitivity can be adjusted, but the sensitivity isn't what bothers me. With the parking collision recording function active, it has a tendency to override standard recording capability. What I mean is, if I get into the car and close the door, triggering the gravity sensor, it will start recording. That's all fine and dandy, but after the camera finishes recording the parking collision footage, it takes about a minute or two before it begins recording again. Having this minute or two of missing footage can create a huge problem if you happen to get into an accident during those few minutes. Maybe there's a setting I'm missing? I am a bit disappointed that the camera does not feature a rear facing camera, but for $40, I can't really complain (the camera is $60 without any discounts). Then again, I'm not entirely sure I'd have the patience to route camera to the back of the S2000, and I get the feeling it would look pretty ugly too. The Dashcam A1 already includes more features than what is often included in cameras at twice the price point. Ease of use, WiFi capability, clear picture, and a slim design all make this camera a good buy if you're just starting to foray into dashcams. 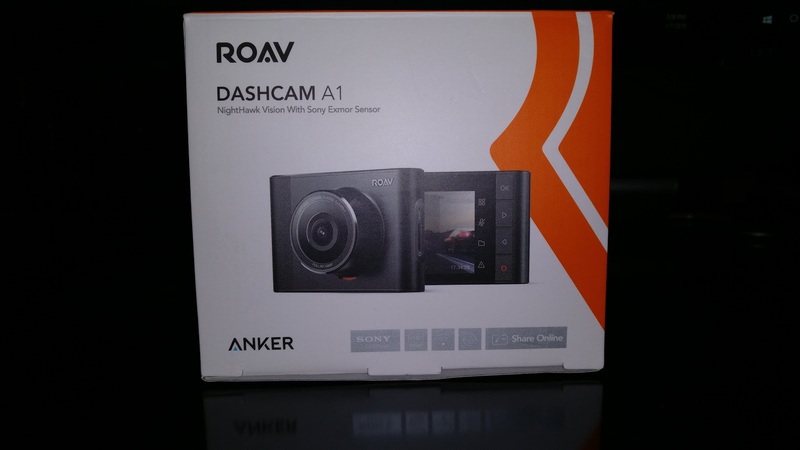 If you just need a dashcam to be safe, or want one to record other motorists being jerks on the road, this is a definitely a good camera to pick up.